I’ve found a lovely DIY for you that’s a lovely little gift that you can personalize for any occasion. I’ve used this tutorial as a reference from DIY Beautify. You will need a few basic supplies that you can find at any craft store. You’ll need a large cylindrical glass vase that is large enough to showcase your ribbon and be an appropriate size for a candle holder. Remember you can make them big enough for pillars, or small enough for tea lights. You’ll need some wide burlap ribbon. 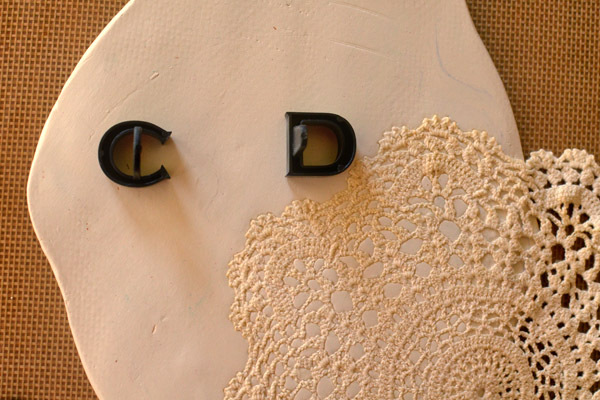 You might be able to find this edged in something pretty, and if not, you can beautify it yourself with some inspired trim and a glue gun. You’ll also need some black acrylic paint, a stiff stencil brush, craft vinyl and transfer paper. The original poster does this tutorial with a die cut machine or silhouette machine that’s often used for scrapbooking and other paper crafts. If you don’t have one though, you can always cut a stencil that’s a little less delicate and easier to work with and use that instead. First. you will need to create your design. You can do this yourself or if you’re not super digitally crafty, you can use Pic Monkey. You can also use other programs online or find a design you are fond of. 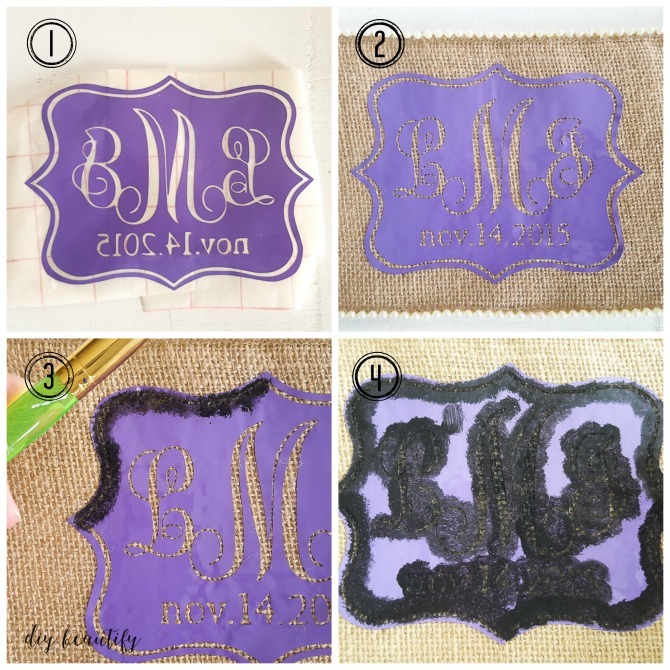 Keep in mind if you’re wanting to do a wedding specific monogram, there’s an order to the initials. It should be the wife’s first name initial, the husband’s last name initial, then the husband’s first name initial. Your next step is to cut your design out on craft vinyl. This will mean that you’ve measured, saved and printed your image to cut it out on the vinyl, or that you’ve done your own creative work. The vinyl will be discarded as it’s just a stencil, but the transfer paper is what’s important, and if you’re unsure of how to use it, here’s a tutorial. Use the transfer paper. Please keep in mind this isn’t a necessity, but it does help make it easier to keep everything centred and where you want it to be. 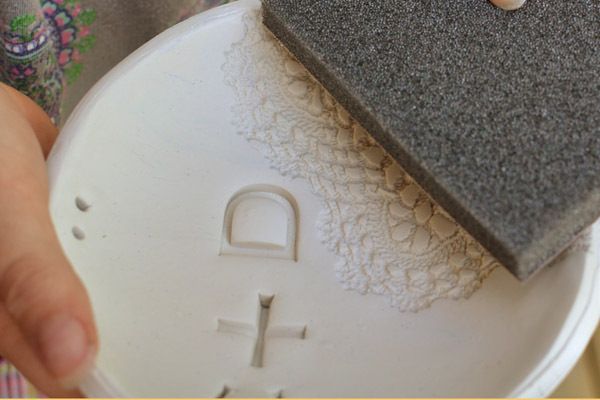 It also allows you to keep all the small pieces where they need to be for the very fine stenciling. The colour of the vinyl doesn’t matter as we’re creating a stencil that will get discarded. 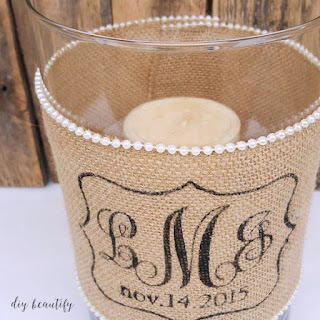 This is a super easy way to get the design transfered to the burlap all in one piece. Using the photos above, 1. Use transfer paper to remove your design from the cuting matt. peel all the positive space away from your vinyl, leaving the negative space to give you a stencil. 2. Lay the stencil (which is still on the transfer paper so you can centre it with ease) on the burlap and burnish well. Gently and slowly peel the transfer paper away from the vinyl while making sure all the pieces stay behind. 3. Using the acrilic paint and brush, stencil the design. Use minimal paint for a crisp design. 4. Make sure the whole area is covered with paint before you peel and discard. 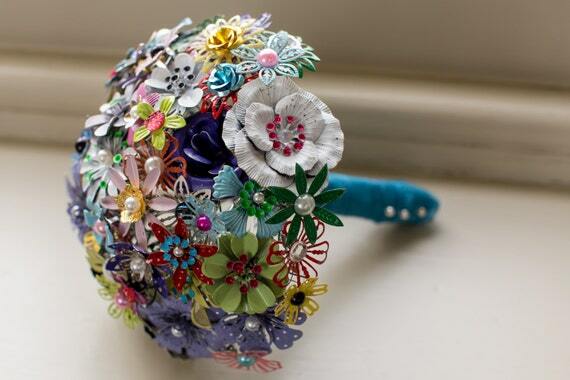 When your paint is dry, use a glue gun to affix your ribbon to the vase. You can fill the vase with whatever you’d like to make it beautiful. Sand, rocks, coffee beans, fish tank pebbles. Whatever you think will look nice. Coffee beans and a vanilla candle can make some beautiful aromas though. Wedding season is coming up and if you’re getting married, and haven’t taken care of your favours yet, not to worry! 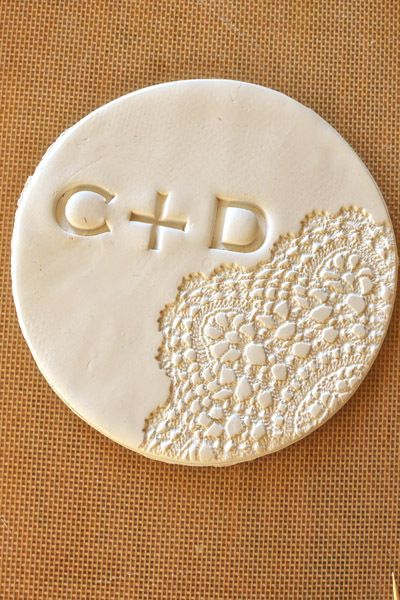 Here’s a DIY from Intimate Weddings that is simple, easy and super sweet. All you’ll need is 3/4 cup of flour, 1/2 cup water, an envelope of unflavoured gelatin (2.5 teaspoons), 3 tbsp corn syrup, 4 cups of birdseed. You will also need some tools. 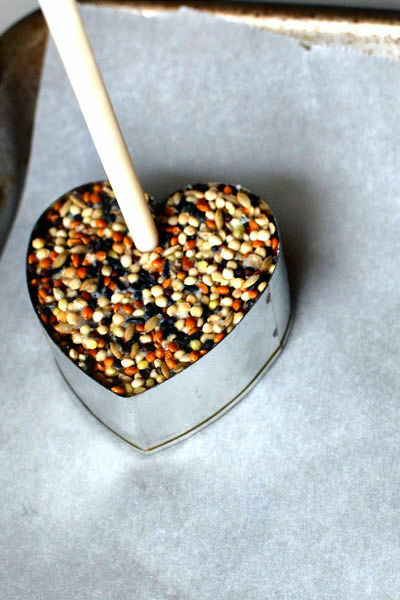 A large mixing bowl, a heart shaped cookie cutter (or whatever shape you would like), nonstick spray, a chopstick or bamboo baking skewer (for hole poking), parchment paper, a cookie sheet and jute or raffia or whatever string/ribbon you’d like to use to hang your feeders (you can go rustic or match your colours). You’ll also need some card stock, a rubber stamp (with your message on it), ink, a rounded corner punch and a hole punch. Be aware, this will make approximately 20 two inch hearts. Mix flour, water, gelatin and corn syrup. Add birdseed and mix well. Lubricate the inside of the cookie cutter with your spray (or wipe it with oil), Place the cookie cutter on a parchment lined cookie sheet, and spoon the mixture inside of the cookie cutter and press the mixture firmly with greased fingers. Make sure it’s tightly packed, as the tighter it is, the less shedding you will have. Use your skewer or chopstick to poke a hole near the top of the heart to thread your string through. 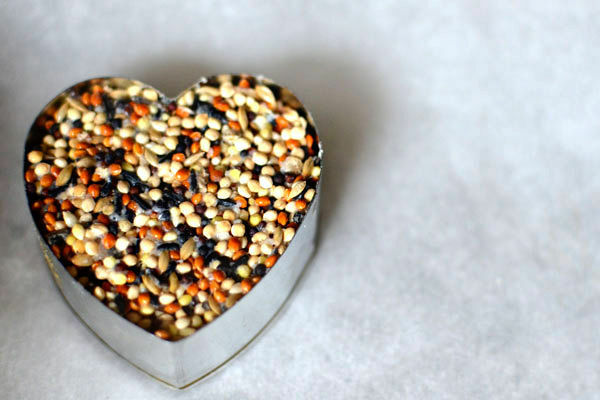 Carefully pull cookie cutter away from birdseed heart. Repeat until all the mixture is used up.You should respray the cookie cutter after every six hearts, that way it won’t stick. Let them dry for 6-8 hours or overnight. Cut 10-12 inches of jute/whatever you chose for each heart. String the jute through the heart and add your tag. 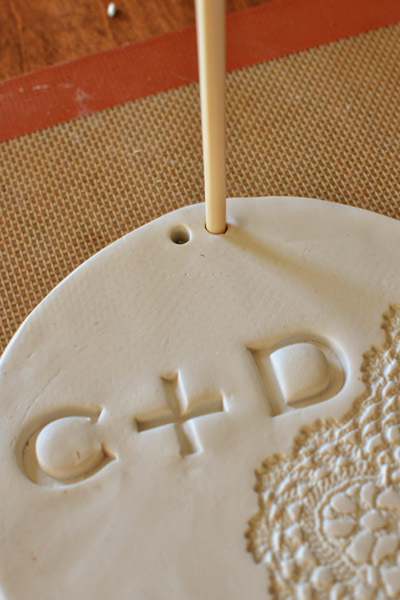 You can use the rubber stamp (your choice), your card stock, and the rounded corner punch to create your tags. Tie the jute into a knot after you have added the tag. 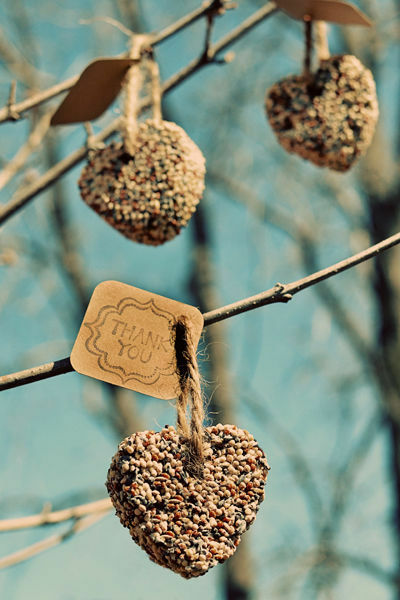 They’re ready to be hung from branches at the wedding or you can put them on the table inside bags or boxes. It’s useful to note you should make these no more than a few days ahead of time, otherwise they may molder if they’re left for long periods of time. Still being in the throws of wedding season, I thought another DIY gift would be in order. You can make something like this for a shower before the wedding so that the couple can use it on the day of their wedding, or it can be a gift for after that they can leave by the sink to put rings in while we wash dishes. This project was taken from Intimate Weddings, so feel free to check the full tutorial here. 795 gram package of White Oven Bake Clay (which should be available at any local craft store. Bamboo stock or chopstick for to use as an awl to poke holes. Spray sealant and paint for finishing if you would like it. Your first step is to form your dough into a ball and place it on the parchment or silicone liner. 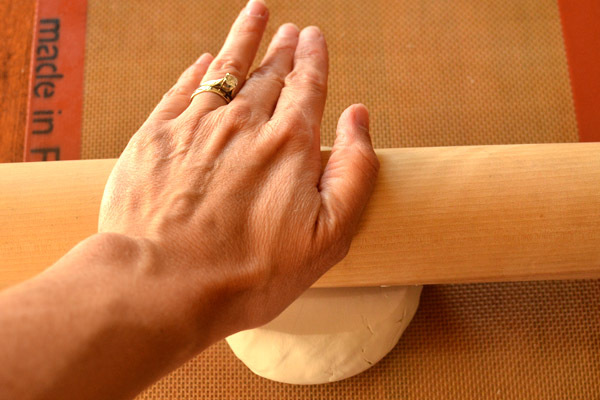 Roll your dough out with your rolling pin until it is about 1/4 inch thick. Place your fabric doily where you would like it to appear (you can put it in the centre or off to the side and either way it would look fabulous). 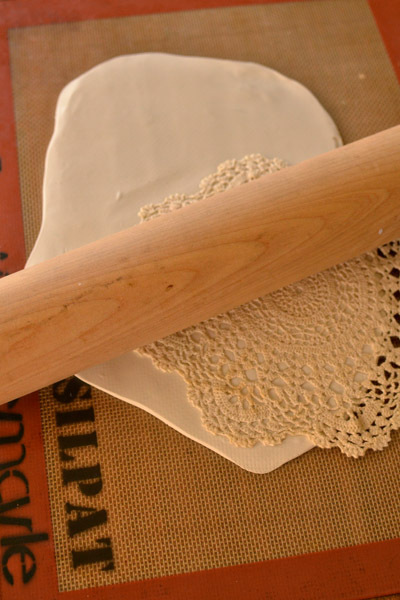 Roll your rolling pin over top of it to press the design into the clay. Use your lid to establish how big your bowl will be and to use it as a centre point to choose where to put your letters. You can do initials, or names, you could even do a small poem if your letters are small. 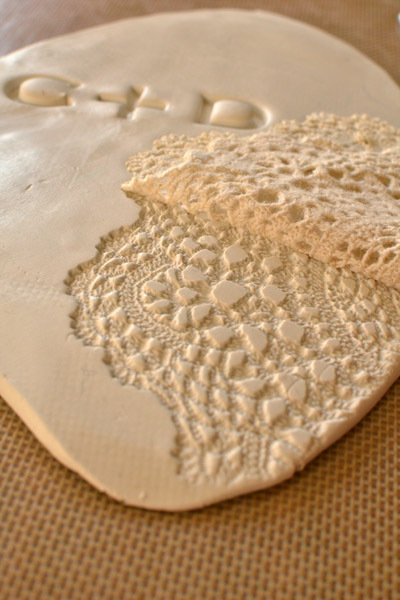 When you’re ready to cut the shape, peel off your doily to reveal the beautiful imprint. Use your lid to cut the clay and form your circle. Save any excess clay for future projects. 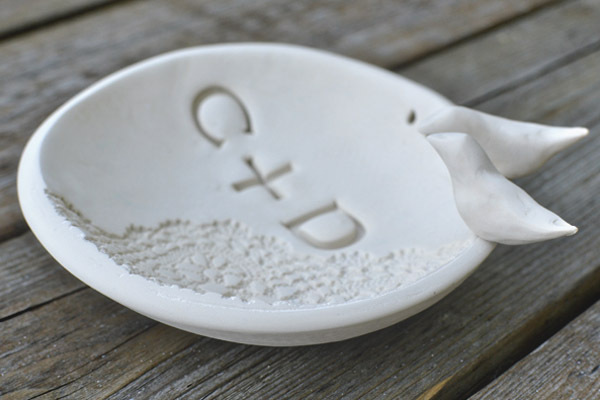 After you remove the clay and the lid, you’ll have a circle that’s ready to be moulded into a bowl. 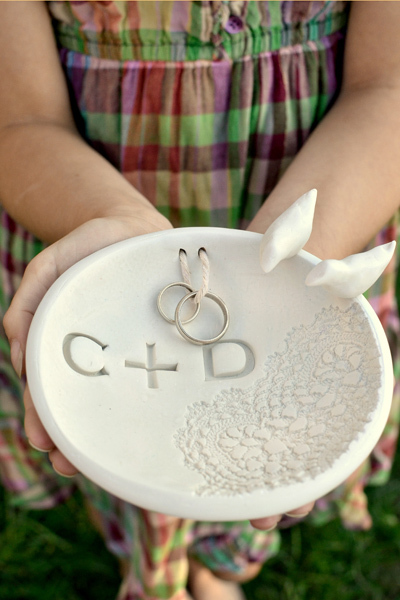 Use your awl tools to poke two holes at the top of the plate if you’re thinking of giving this as a ring bearer bowl at a wedding. You can omit these if it’s to be used as a ring dish at the sink or elsewhere. Next you need to form your birds (if you’re making birds) or any other accents that you would like. If you’re making something you’d like to have stand on the side of the dish, use an existing dish to form the clay underneath them so they will be easy to adhere to the bowl. 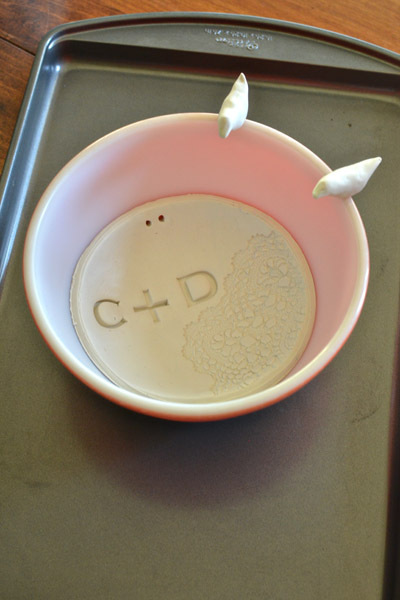 Place your soft clay plate into the bottom of your oven safe bowl. Remember, it should be big enough to create a bowl, but not so small that your bowl is a teacup. Place oven-safe bowl (and birds) on a cookie sheet and put into the oven for approximately 30 minutes (use the baking directions on the package, please!). When it’s done, remove from oven and let cool inside bowl for 20 mins. When cool, turn bowl over. It should pop right out. 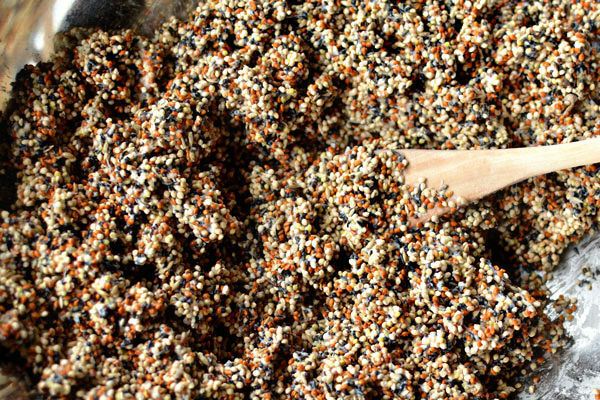 Sand down the edges of your bowl until they are nice and smooth, as well as your birds. A sandpaper sponge would be ideal for this as opposed to regular old sandpaper. 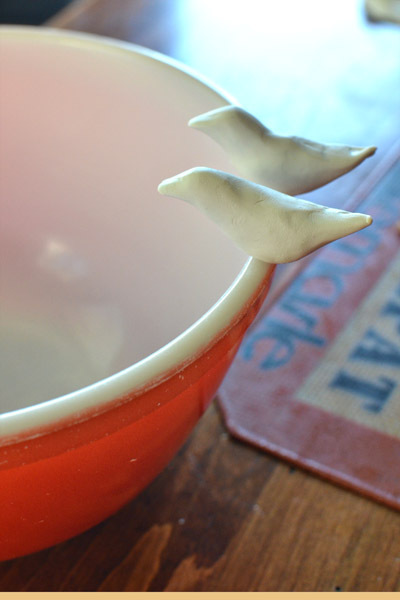 Use a little superglue to adhere your birds to the dish. And you’re done! Well. If you’re inclined to paint your project, now would be the time, or add accents in paint or gold leaf or anything fancy like that. If you’re adding extra touches at the end, or if you’re going to be having this dish be for ring removal when you’re washing, I would make sure to use a good spray sealant so that the paint is sealed on, and the water can’t get in. and you’re done! A beautiful gift, that takes just a little creativity. I bring to you a lovely little tutorial. 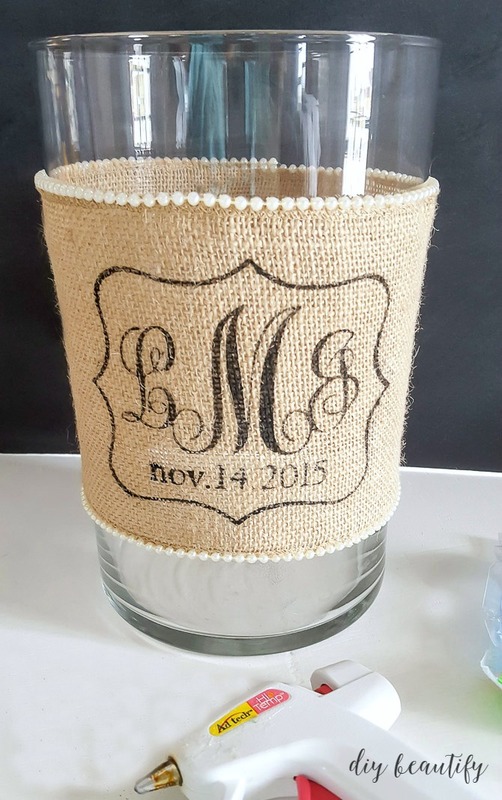 Given that we are coming into the season of weddings and birthdays, I though that this is something you can do to make a fairly impressive gift that is personalized and awesome. I found this tutorial at A Beautiful Mess and I love that you’re able to do this on a canvas. It’s super impressive! You will need a few supplies. 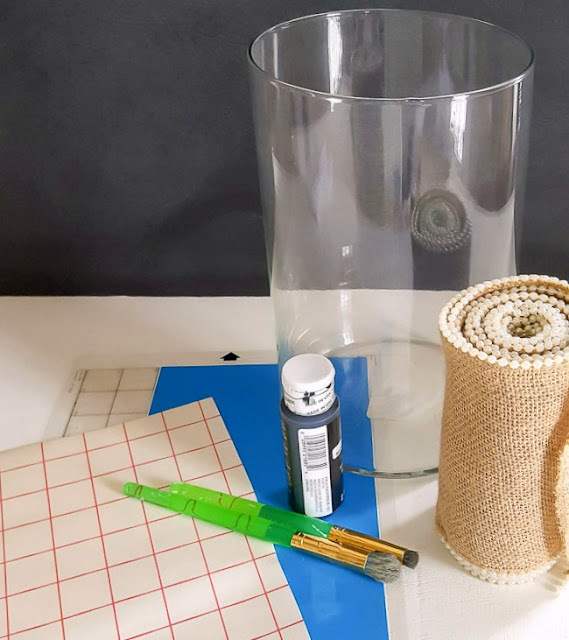 You’ll need a stretched canvas (8×10 is nice, and you can find these at craft and sometimes dollar stores), a gel medium (like Liquidex), a paint brush and a laser copy of the image you’re wanting to transfer. You’ll also need a spray bottle filled with water. Your next step is to paint your canvas with the gel, and be generous. Next you will need to press the photo copy onto the canvas and let it dry for few hours, or overnight if you have the time. 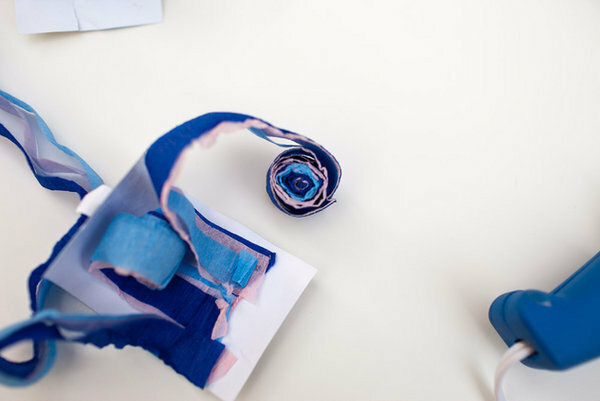 After the image dries, use the spray bottle to get the top of the paper wet again, and then rub the surface with your fingers until the paper starts to come away. This will reveal your (mirrored) image underneath. Just be careful not to rub too vigorously, as it might remove the image rather than just the paper. Remove all the paper this way until you can see the whole image. Cover the canvas with an extra coat of the gel medium to seal and protect it. Remember, that your image may not come out perfectly. In fact, it will probably have a number of spots where the image didn’t transfer exactly, but this is a project where rustic is the name of the game. So that’s kind of the idea. 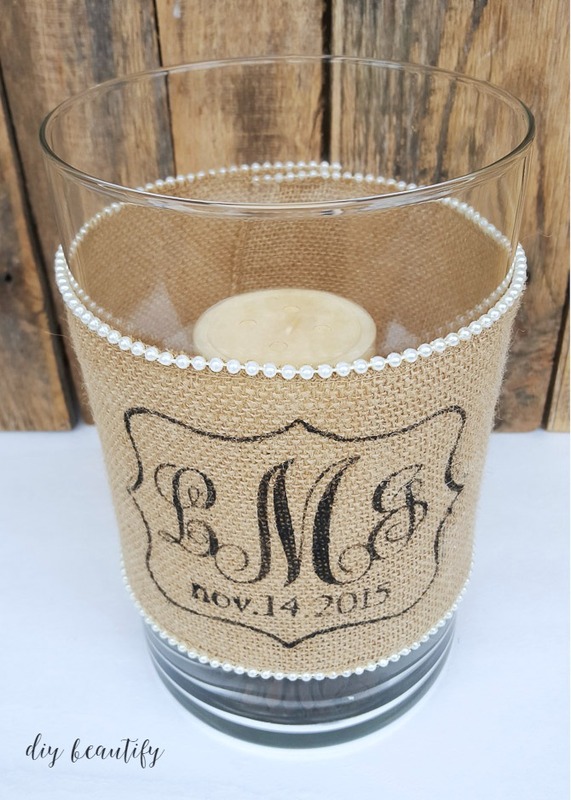 This is a great gift idea for any wedding, or any other occasion where pictures make a great gift but you want to give something just a little bit more. So, going along with the wedding theme, Saturday readers, I have a DIY super cute save the date tokens that are a little different from a card or a printed photo of the couple. 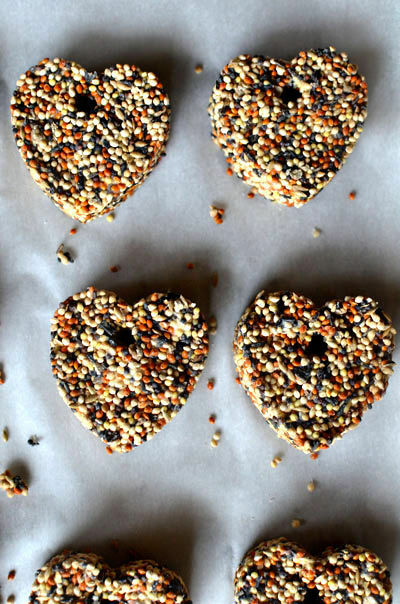 They’re super easy to make and are really quite sweet. They’re also useful, which I find super attractive in things like this as there’s nothing I dislike more than superfluous things that no one feels really comfortable throwing away and they don’t know what to do with it afterwards. 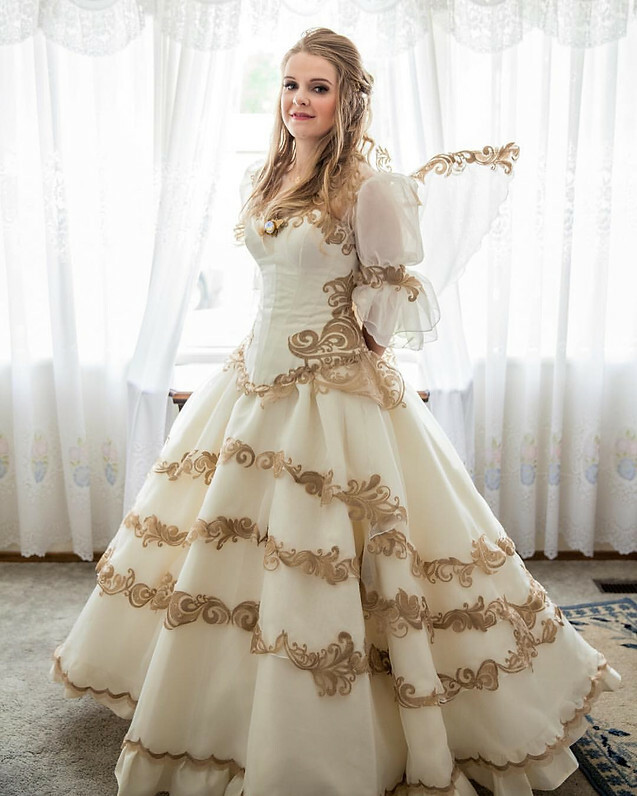 So I bring you this sweet little tutorial from Project Wedding that you can make and also alter and decorate to suit your tastes. Your materials are super easy. 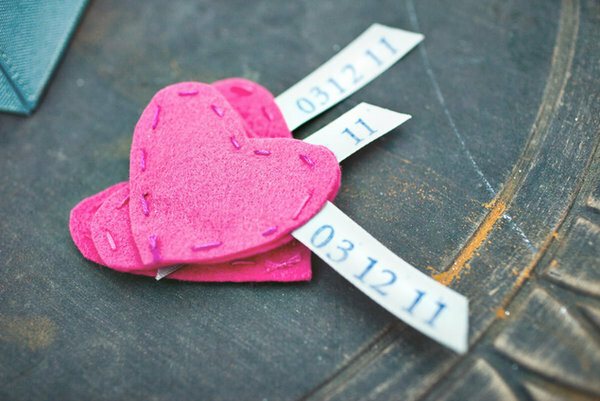 You’ll need felt (in whatever colour you’re using for your wedding or in red/pink/whatever colour you want to use), ribbon, a custom stamp and stamp pad (for the date or for any other design you may want to stamp), small adhesive magnets, embroidery thread with a needle, and scissors. You should be able to find all of these at your local craft store. And for quality reasons, you may want to stay away from the dollar store. 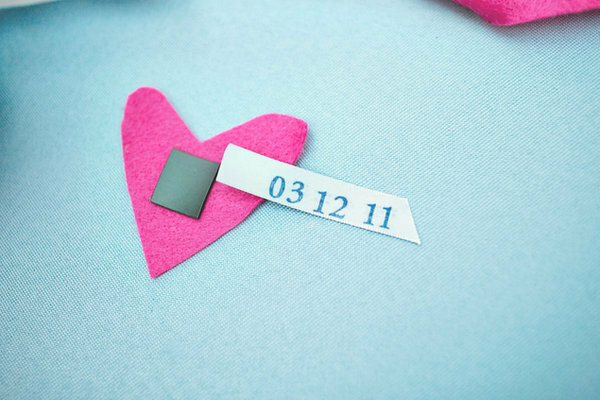 These save the date magnets will look hand made, but you don’t want them to look cheap. Your first step is to cut out your hearts, however many you need, in pairs so that you have two that fit together. They do not need to be perfect, and in fact, if they are imperfect, they’ll look a little more unique, so that’s good! 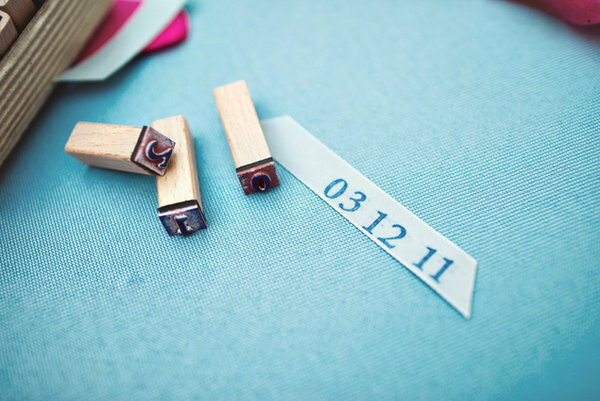 Your next step is to cut a piece of coordinating ribbon and stamp the date of your wedding on it. 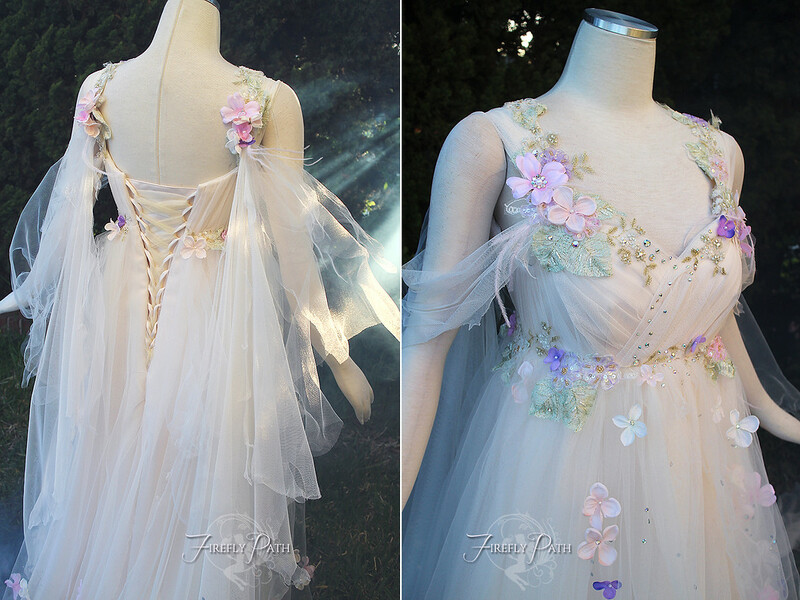 You may want to purchase some fray stop from a fabric store for the edges of the ribbon to keep it from fraying. 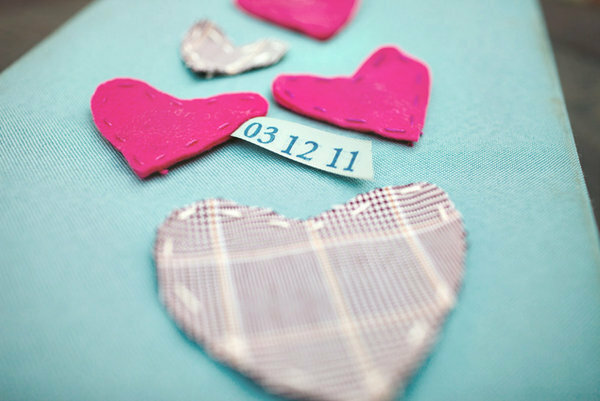 Arrange your magnet and ribbon on the heart. If you managed to find adhesive magnets, I’d recommend sticking it to the felt, and sliding a small part of the ribbon underneath so that it will be held a little more securely in place. line up your second heart overtop of the first one. You can pin it while you stitch it to make the felt easier to sew, if that’s your game. But it isn’t necessary. 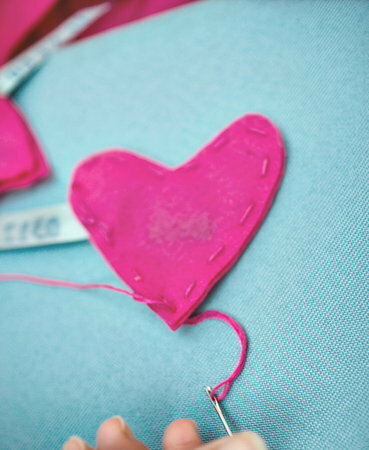 Stitch around your heart, making sure to sew the ribbon so that it doesn’t move. 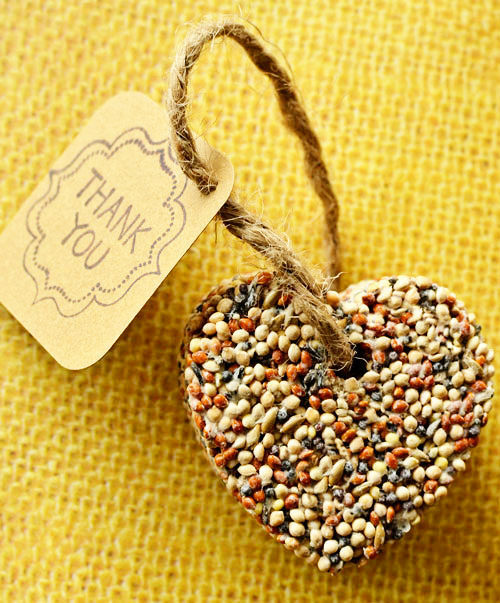 How you stitch is up to you, but hand stitching looks so sweet with these little favours. And voila! You’re done! Keep in mind you can use any fabrics, any colour of ribbon and make them any size you like. 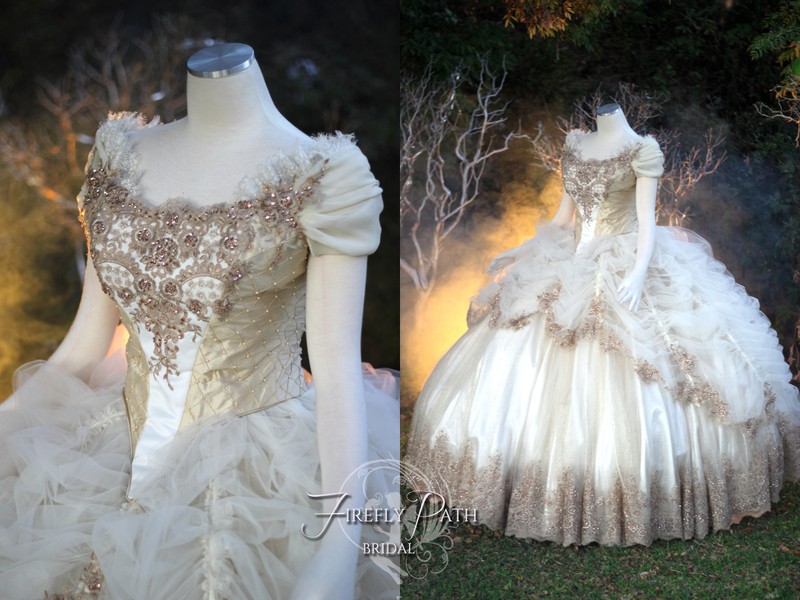 You can get as fancy as you would like, getting into hand painting or stamping on the felt itself. I love these little magnets and I think they’re so sweet! As you may not yet know, I have just recently become engaged, which meant that a lot of decisions are going to be coming my way, and fast. So of course, I hopped to the internet to start looking at the basics, venues, food… but also some of the diy things that I would use or like to do for mine. 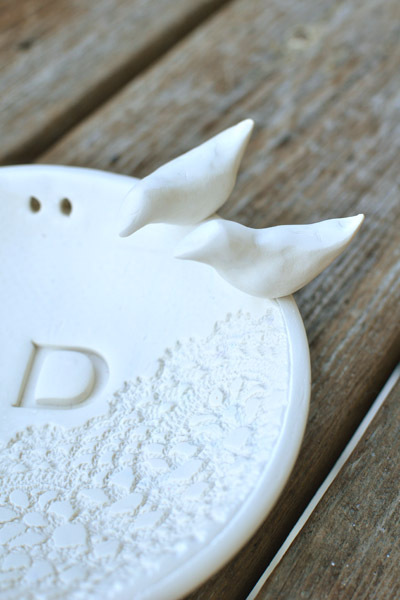 This is a nice DIY tutorial from Project Wedding that I thought was especially nice. Many venues don’t allow throwing rice or confetti, due to the health of the animals and clean up. 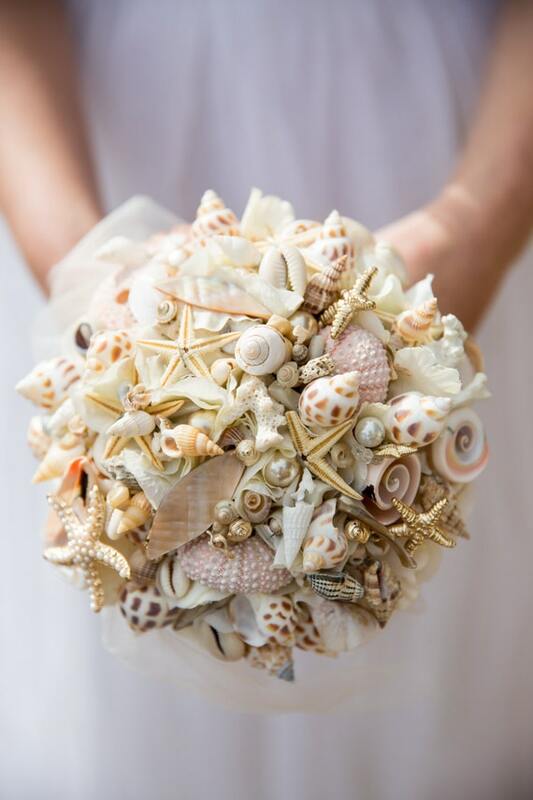 And I can’t imagine my wedding without lots of colour and fun, so I’ve found a nice alternative that would give the splashes of colour without the mess. These Kabuki streamers are so nice because you can customize the colours and they are inexpensive to make. They just take a bit of time. Your materials are also super simple. 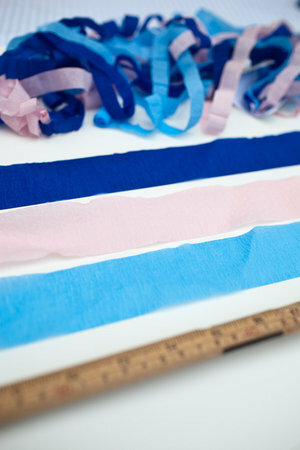 You will need some crepe paper streamers in 3 coordinating colours, and these are easy to find. You can find them at a dollar store, craft store or a party store and they come in big rolls that are super inexpensive. You will need some coordinating paper – you can find some really nice stuff in wallpaper stores for a more wedding feel, but again, craft stores will have a great selection. You will also need some scissors, a needle and thick thread for attaching, a heavy paperweight and a small piece of tape or label to seal the project closed when it’s completed. You can get some beautiful decorative tapes from your craft stores, so they can be finished beautifully! So lay out all three colours of streamers and you will need to cut 25 inch long sections. You will need one cut length of each colour for each streamer package. Layer your streamers one on top of the other with all three colours and to make it easier, you can use a paperweight on one side or along the length to keep the ribbons from moving. Your next step is to cut the streamers into thirds, along the length.. You will make two cuts vertically up the streamers to leave you with three skinny sections, and remember, all of these sections will be going into your streamer packages. 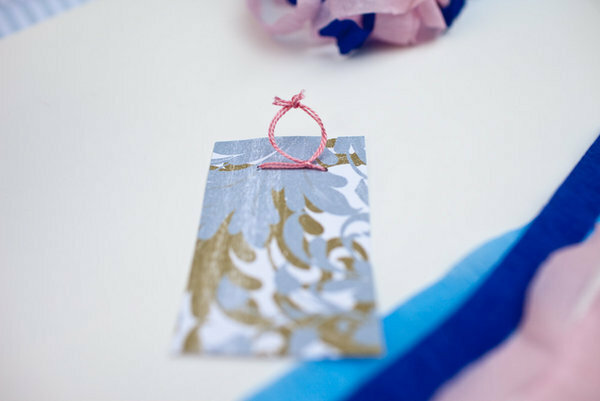 Cut decorative paper into 2×4 inch pieces to use for wrapping the streamers. Using a needle thread, thick string through your paper and tie off twice to produce a small finger loop. 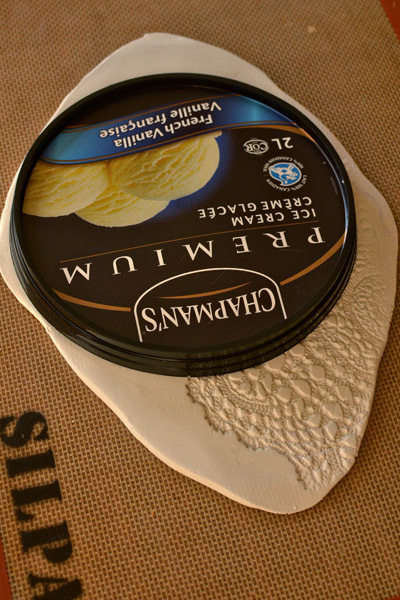 This will allow your guests to slip on the package for good throwing grip. 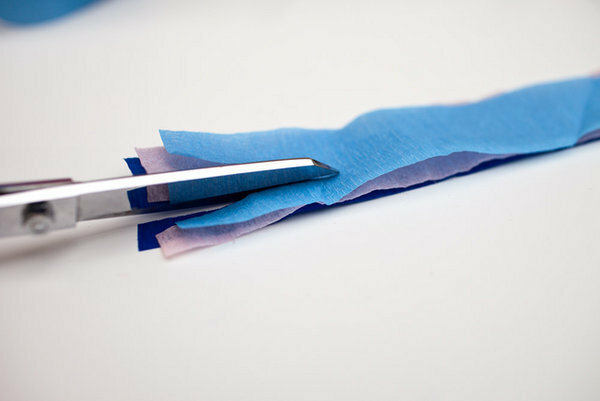 You could also use ribbon for this step if desired, and you could even use some hot glue to secure it to the paper rather than using a needle and thread. 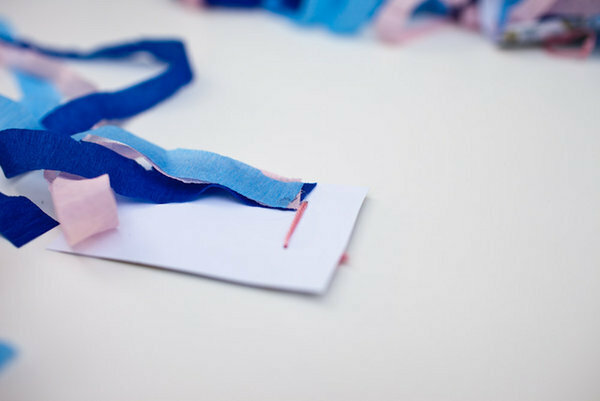 use a bit of glue on the inside of the paper and attach one section (one of each colour) of the skinny paper ribbons next to the string/ribbon. You’ll need to repeat this for each set so that you’ve got 3 sets of streamers, or 9 in total. 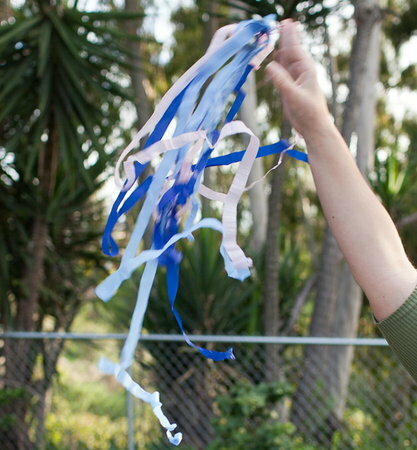 Secure your streamer paper under a weight and working one section at a time roll up your streamers tightly toward the top. Roll each section separately and be sure to keep your streamers tight for small rolls. When you reach the end of one section, stick it under a paperweight while you roll the others so you don’t lose your work. When all three sections are rolled up, you basically need to enclose them rolled in your decorative paper, and then seal it with tape or label. When the time is right, your guests just need to break the label and start waving their hands wildly over their heads to celebrate and make waves of colour and noise without damaging birds or creating a disaster of glitter and confetti. It’s wedding season for our family and you know what that means…dressing up! (You may insert moans of sympathy here.) I, very luckily, happen to be in one of the wedding parties so I don’t have to worry about choosing attire. My husband, however, was not so lucky. He is really not one for wearing a suit and tie on a regular basis but since it’s family, he wanted to look spiffy for the occasion. One of the quests I was set upon was to find him a new tie. Not just any tie but a subtly geeky one. I have satisfied this quest goal! Behold! I give you Cyberoptix Tie Lab. 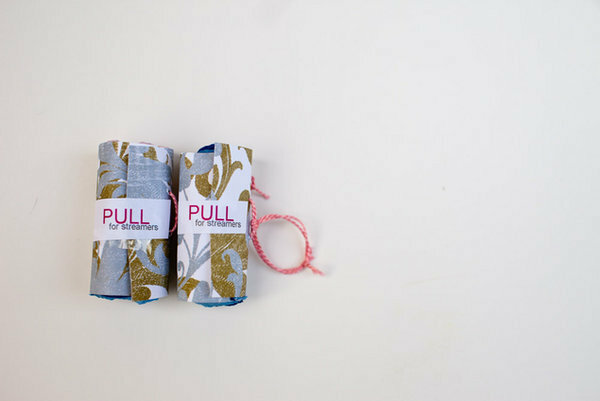 All of their ties are hand printed on your choice of either microfiber or real silk and they are gorgeous! Wow, that’s a great t…is that a circuit board?! Their subtle yet sophisticated selection comes in a wide array of colors and styles. All inks are water based (better for the environment) and the cloth is sourced from responsible, sustainable vendors. The best part? These are made to order, so if you want to create your own design for a wedding, graduation, bar mitzvah, or just because, they can do that for you! Ooooh. 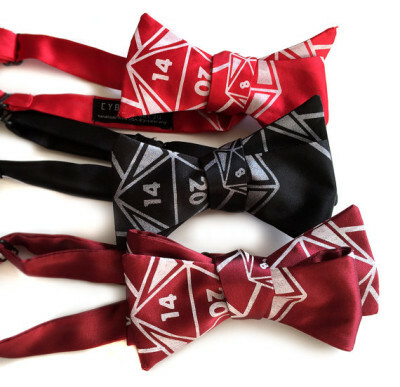 Fancy bow ties for game night! Bow ties are still cool, right? I went with a beer themed tie complete with hops, wheat and barley but there are so many other styles. The designs were all created by their founder, Bethany, and these ties are doing so much more than making your neck look good. They are helping to revitalize the ailing city of Detroit. That’s right, they are also very much into their community by being part of the Grow Detroit’s Young Talent initiative which helps youth in the city to gain experience in the workforce. Before I leave you to browse these a bit more, ladies (or guys) if ties aren’t your thing, just wait…there’s more. 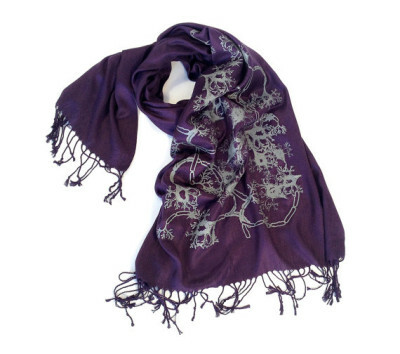 They also hand print lovely pashmina style scarves. Feeling brainy today? 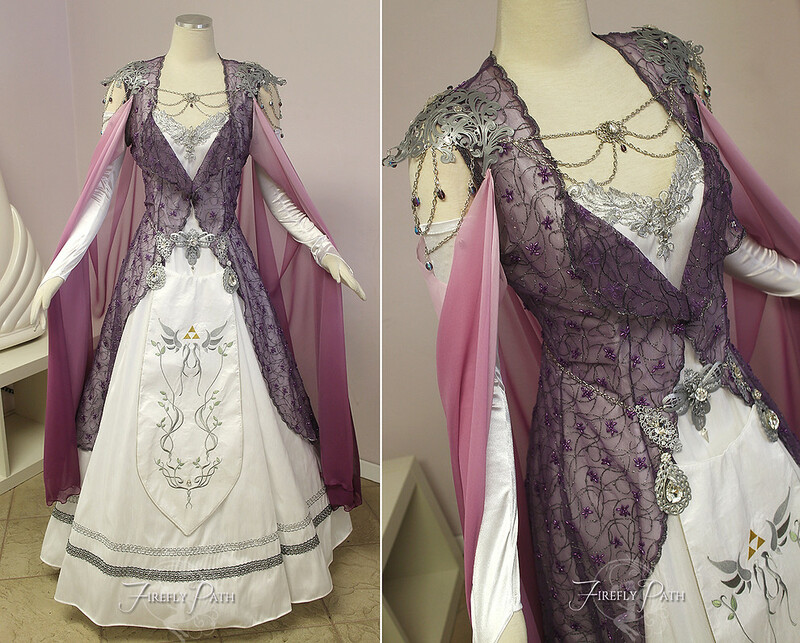 You will in this! So if you need to look smart for a grand occasion, I highly encourage you to check out their wares! 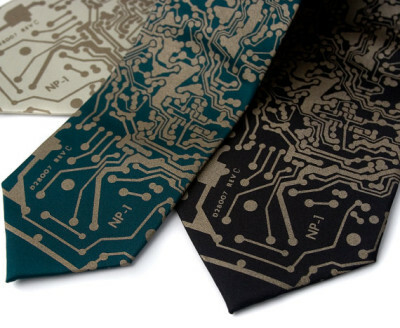 Cyberoptix Tie Lab can be found on Shopify, Facebook, and Etsy.